Humanity is conducting an unintended, uncontrolled, globally pervasive experiment whose ultimate consequences could be second only to a global nuclear war. Changing Atmosphere Conference Statement, Toronto, 30 June, 1988. With the Greenhouse scare turning thirty this month, we remember the conference that launched it onto the global stage as the flagship cause of the Sustainable Development movement. Before Paris there was Kyoto, but before Kyoto there was Toronto. Most climate activists today would be too young to recall where it all began thirty years ago this month. 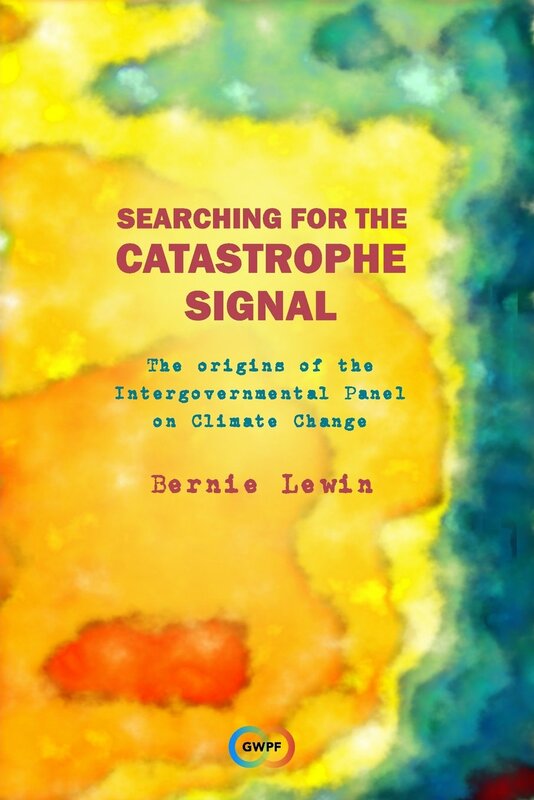 It was at the Changing Atmosphere conference, Toronto, 27-30 June 1988, that ‘greenhouse’ warming exploded onto the global stage, with demands for an immediate policy response. So successful was this event that the ‘Toronto Target’ remained the benchmark for any government response to the climate emergency until the ‘protocol’ finally agreed in Kyoto, 1997. In the old days before the warming scare, convention deemed that local weather observations could not pronounce on local climate until the ledgers ran down a continuous 30 years. And perhaps this could be our measure of global climate scares. Compare the cooling scare: launched in 1972, it was all over by the end of the decade. That was pretty much when the build-up to the warming scare began. But this one stuck around. It grew and prospered while the promised signs of catastrophe remained ever deferred. Here begins a number of posts drawing on themes raised in Searching for the Catastrophe Signal. The Working Group 1 First Assessment Report was written not by the IPCC delegates but by scientific experts. When first presented for approval to the Panel, it was already a commercially published volume. The Brazil-lead revolt at that meeting soon resulted in a new intergovernmental negotiating committee completely separate from the IPCC and its parent bodies, and this committee then proceeded to replace the IPCC with its own subsidiary advisory body. Other difficulties related to the Houghton transformed of the assessment process only become apparent during the IPCC’s second and later assessments. Exactly who are the panelists on the Intergovernmental Panel on Climate Change? Is the IPCC the author of its own reports? Is it made up of scientists? The answers to the last two questions are: ‘No’ it does not write its own reports, and; ‘No’ there are not many scientists on the panel. What we call the IPCC is a revolving panel of government delegates, a few of whom have been scientists, others were science administrators, others had some science training. In short, over its 30 year history, few of the Panelists had much experience in the climate sciences. Not that that matters so much, because they do not undertake the IPCC assessments nor do they write the reports. Elected experts do that for them. All they do is ‘accept’ the expert reports and approve a summary. This is why when the Panel shared the 2007 Nobel Peace Prize, it was so ridiculous that Michael Mann should claim to have shared the Nobel Prize with other scientists who undertook the assessment. Surely he knew that none of them were on the Panel! But his confusion also points to the peculiar design of the entire assessment process, which has contributed over the years to particular difficulties at both the political and scientific interfaces. Twenty years ago this month in Madrid, the success of an initiative to make a late change to the report of the Scientific Working Group of the IPCC turned around the fortunes of this United Nations WMO-UNEP panel after it had been pushed out of the climate treaty process. The late change gave the treaty process legitimation that it desperately required, namely, authoritative scientific validation of all the public speculation about a catastrophe in the distant future. The new claim was that the balance of evidence points towards a discernible human influence on global climate. In other words, this esteemed panel of the world’s top climate scientists had decided that the evidence is now suggesting that the catastrophic change predicted by the theoretical models has already begun. The immense importance of this success for both the fortunes of the treaty process and for the fortunes of the IPCC was not lost to the meeting chairman who steered through the late change. Sir John Houghton later claimed that, without it, agreement on the Kyoto protocol two years later would have ‘faltered’. He also claimed that, without it, the ‘integrity of the panel would have been seriously questioned’. And yet today it seems that others who should know better (eg the academic historian Oreskes) do not understand how important it was that it was only in 1995 that an official panel had finally come up with a (however so weak) detection claim. Following my GWPF report on Hubert Lamb, there was some criticism (in comments and by email) that I was too soft on Lamb’s successor at CRU, Tom Wigley. These critiques fit the common portrayal of Wigley as an eminence gris, a shadowy figure scheming in the background, putting forward the more reckless younger scientists, while carefully maintaining plausible deniability. Perhaps. And I can certainly see how this view has developed during the second wave of scepticism that arose with the Hockey Stick Controversy. However, this view tends to distort, if not Wigley’s personal intent, then his rôle in the whole saga. Wigley is surely one of the most important and curious characters in our whole story. Therefore we should be especially careful not to let accusations of malevolence distract from the problem of his enigmatic rôle. Some may well wish to lay accusations as though of a crime, where intent is crucial to conviction and sentencing. However, this is not our problem. Our problem is the historical problem: the hows and whys of this monumental corruption of our scientific institutions. In this, Wigley’s rôle, rather than his intent, is of primary importance. For a social phenomenon, a social explanation is the most satisfying. The transformation of the science is easily explained sociologically, where psychology need only come in with its gross emergent social expression—we may call this human nature. If Wigley did not exist, then social forces would have invented him, maybe not at CRU, but somewhere. There are a set of social factors that go a long way towards explaining the successful transformation effected by Wigley at CRU. Indeed, these are of sufficient force that the attribution of a sinister motive or stratagem is hardly required. Consider firstly that many competent and distinguished scientists, however so much they strive, never achieve even one first-author publication in Nature. Such publications are benchmarks of scientific advancement. As far as we know, no historical climatology paper from CRU ever made the grade. Indeed, Astrid Ogilvie (an historical climatologist at CRU from the 1970s) explained by email that it was hard to get their research published in any peer review journals until the specialist journal Climatic Change arrived in 1977. Yet, in 1981, on the CO2 question, Wigley had his name up on top, in Nature, three times in just two months! My report for the GWPF, Hubert Lamb and the transformation of climate science, has generated some public comment serving to enrich the historical discussion. See at Jo Nova, Bishop Hill, WattsUpWithThat, Breitbart and Quadrant. Others have corresponded privately by email. In the following few posts I pull out for comment a few topics that caught my eye. This one is thanks to David Unwin. In my survey of early skeptics (GWPF report p33-5), rather than mention them all (there are just too many! ), I restricted myself to a very special class. These are those like Lamb, who were leaders of key research groups in the field during the 1970s. This restriction meant that I left out of consideration many leading researchers. To give just two examples, there were Reginald Newell and Richard Lindzen, both at MIT in the 1980s when the scare hit, and both openly skeptical from the beginning. (For more about a few of the other leading skeptics, see in this book.) However, in the context of Lamb’s skepticism, there is one contemporary who might qualify, but, if not, then he is certainly worth remembering.